If your address changes and will need to get an updated embed code from Google maps and replace the code already in your HotDoodle website. 3. Click the magnifying glass button. 5. Select and copy all the code in the "Paste HTML to embed in website" field. 7. 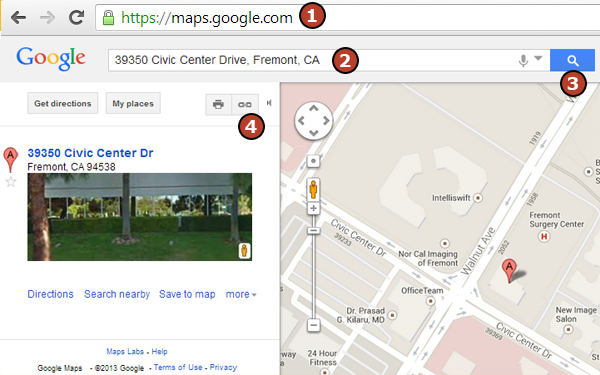 Navigate to the page on your website with the existing Google map. 8. Click to add a checkmark in the box next to "Configure Blocks" in the HotDoodle Toolbar. 9. 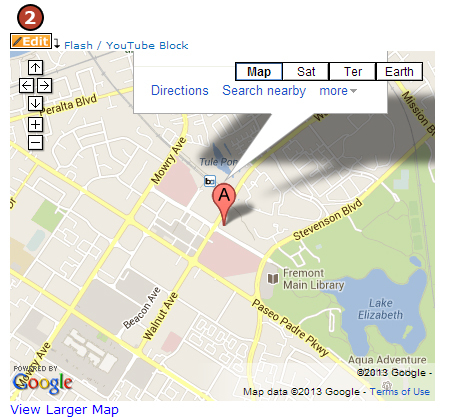 Click the "Edit Flash/YouTube Block" icon above your existing Google Map. 11. Click the "Save" button. 12. Refresh your page by either pressing the F5 button on your keyboard or clicking on the refresh/reload button on your browser. 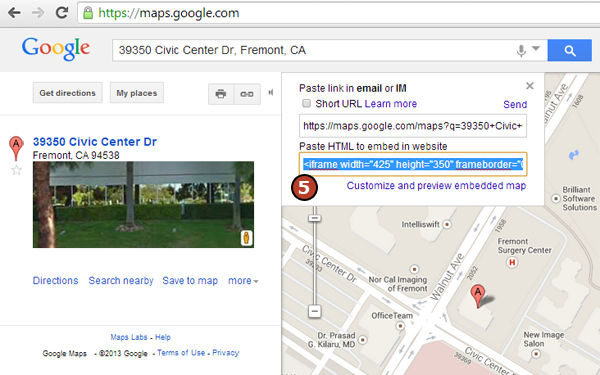 If the Google Map on your website is the wrong size for the space it is in, the size can be adjusted. 1. Click to add a checkmark in the box next to "Configure Blocks" in the HotDoodle Toolbar. 2. 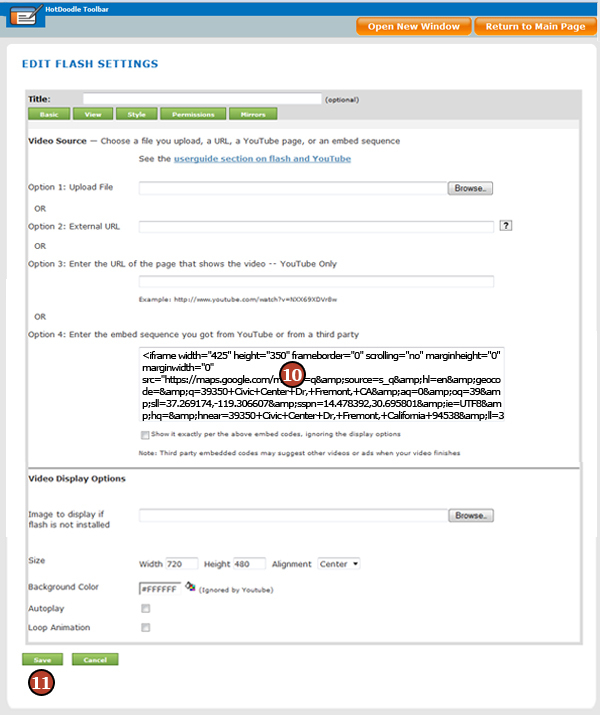 Click the "Edit Flash/YouTube Block" icon above your existing Google Map. 3. Change the width of the Google map by typing in a different number in the width="425" section of the code (shown below highlighted). 4. Change the height of the Google map by typing in a different number in the height="350" section of the code (shown below highlighted). Note: the size settings in the block are overridden by the embed code and must remain that way to display correctly, which is the reason the height and width must be adjusted in the code and not in the block settings. 6. 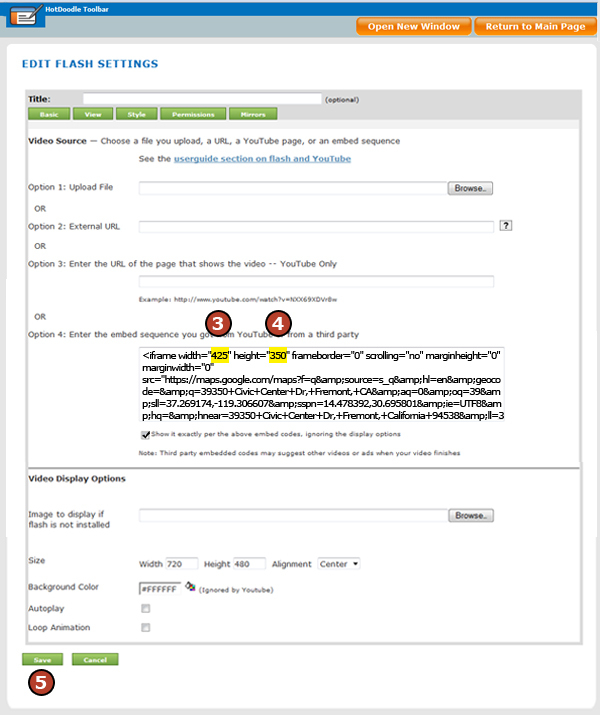 Refresh your page by either pressing the F5 button on your keyboard or clicking on the refresh/reload button on your browser.